Perhaps my biggest mistake was allowing three years' precedent to lure me into a false sense of security. The change I once feared - the College Football Playoff National Championship halftime giving way to a recording artist instead of the marching bands as God intended - has been realized. Starting with the 2017-18 championship game this coming January, there will be a Super Bowl-style performance during halftime of the television broadcast, this year live from Atlanta's Centennial Olympic Park. First, the good news: For us poor band nerds watching the game from home, the experience won't change too terribly much. 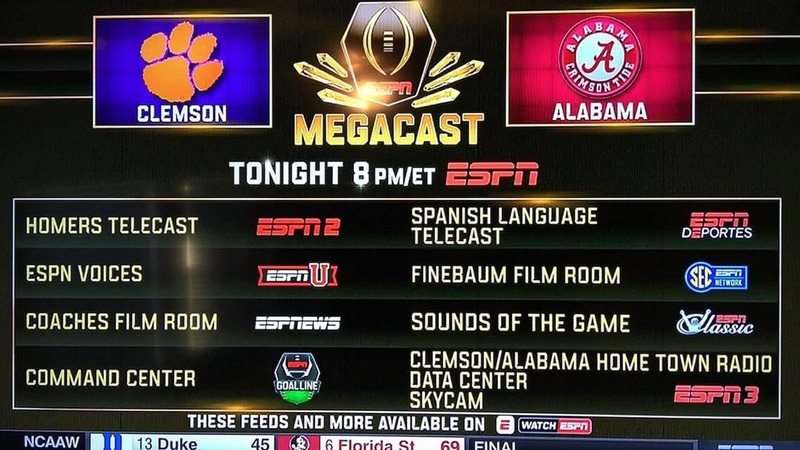 The marching bands will still perform in the Stankonia Dome, and their performance will reportedly still be available on ESPN's Megacast as the Mothership airs the performance from Centennial Olympic Park. It will be easy enough for us to ignore Nickelback in favor of the Million Dollar Band (or whoever). 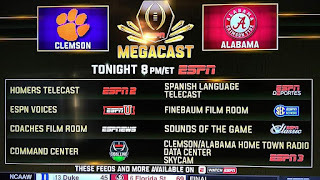 While I fear the network's deemphasis of a proper halftime may ultimately push it out entirely in a matter of years, there doesn't yet seem to be anything to fear for the home viewer with this first go round. If I make my way down to Atlanta as I intend, I'll be in a weird spot. The game, and the halftime that comes with it, will likely be financially out of reach. The recording artist halftime show will be available to my for free - and everything I've sworn myself against. Since the Playoff is offering the halftime show in the park for free, I think it's only fair they do the same for the actual halftime show in the stadium.